Holidays and workshop are the perfect symbiosis for everyone who loves to dance. High quality dance classes by the established Munich dance teachers in a relaxed atmosphere for experienced beginners and intermediate to advanced levels. Participation in all the courses is included in the package price. Additional offers (see booking) are available as optional extras and can be booked in advance or during your stay. There is a lively evening programm and at the end of the holiday we will have a little ShowCase for anyone who likes to join. This morning class is suitable for all participants that enjoy moving! Improve your strength and flexibility – for your dancing or simply general body improvement! 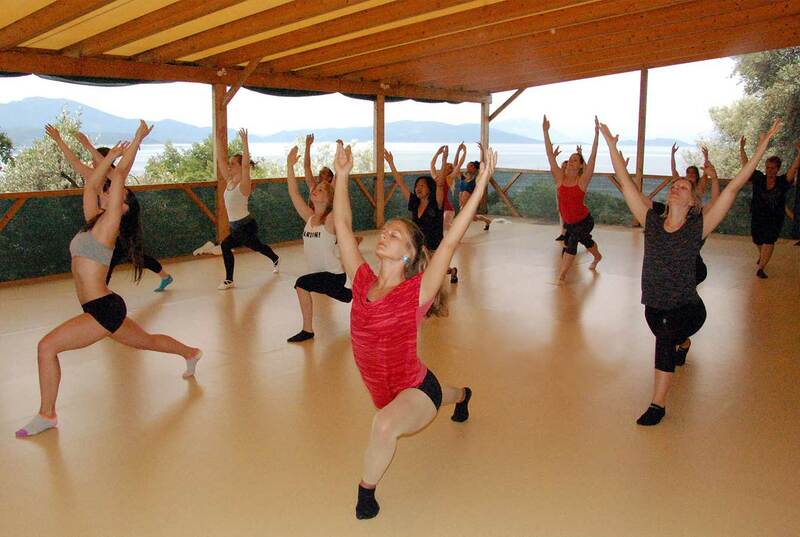 Most exercises are done on the floor and inspired by yoga, pilates and FloorBarre. This course is suitable for more experienced and intermediate dancers. This course is suitable for all participants with beginner/basic dancing knowledge. Nunzios unique teaching method forms the basis of Anna’s classes. Total relaxation and ease with self is integral to this method, allowing the dancer to develop movement and choreography in a highly personal way. Dancing becomes a joyful, unique expression of freedom!! „Every choreography has its own story, known only to the dancer. Do you know “Rock the Ballet” or “Ballet Revolution”? This class lets you experience ballet in a very refreshing way! After a Ballet Workout/WarmUp, there will be pirouettes and jumps, and finally a choreography to learn that combines classical movement with emotional pop music! The course is suitable for any ballet enthusiasts with at least a little basic experience. The class begins with a short warmup. Afterwards we will work on the music, the steps, moves, and emotions. During the days we will develop a whole piece of choreography together, which will include: individual dance, dance with partners and group elements. Nunzio will direct choreography, but independent choreography will also be created by the individual dancer. The course is perfectly suited to all levels, as each dancer will be given parts tailored to his/her level of expertise..
“Dance can make you shine! Nunzio was born in Italy and trained primarily in ballet and jazz, starting his professional career as Principal Dancer in various Dance Companies touring Italy, France and Japan. In 1993 he moved to London and appeared in several Westend productions, such as Cats and West Side Story as well as films, such as the part of the handsome Italian soldier in Captain Corelli’s Mandolin, dancing the tango with Penelope Cruz. In 2005, he opened his own school, the Performing Arts Studios in Munich. At age 16 Anna studied dance at “Hochschule für Darstellende Künste“ in Frankfurt, and later in New York at “Steps“, “Broadway Dance Center“ and the “American Ballet Theatre“. She runs together with Nunzio the Performing Arts Studios in Munich. Nunzio’s unique teaching method forms the basis of her classes. Thierry was trained as a classical ballet dancer at the “Académie Solange Golovine“ in Paris. He was formerly a soloist at the “Deutsche Oper am Rhein“ in Düsseldorf and has worked with many famous choreographers. 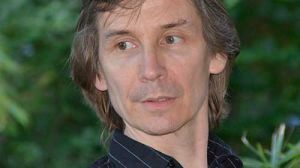 The strenuous exercise and great control of the body that the practice of ballet requires, let Thierry to begin working as a physiotherapist in 1992, and in 1998 he completed a training course in Osteopathy at Sutherland College. 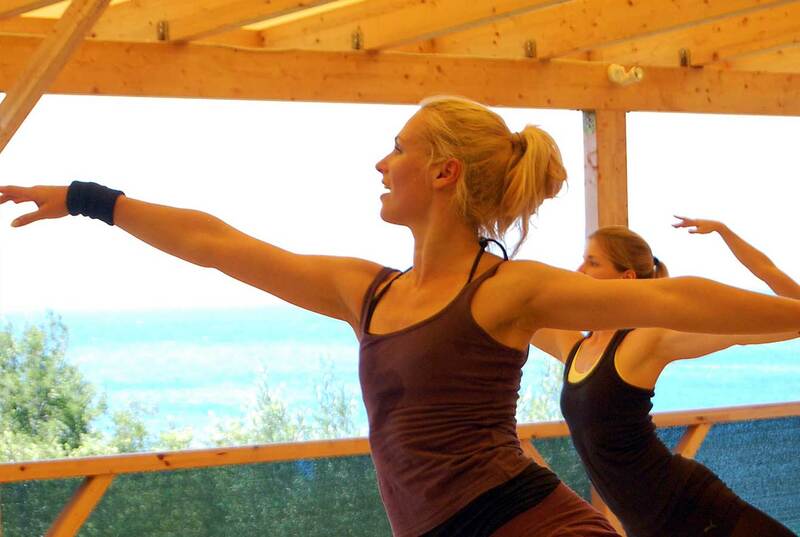 29 August – 9 September: BALLET / JAZZ DANCE WORKSHOP – your ultimate Dance Vacation. Usually most participants book the full 11 days, but within the given dates also individual booking is possible. Booking fee is including accommodation in double rooms with half board and participation in all courses. Places are limited. For those who prefer a single room, one may be available on request at an additional rate. Bookings for accompanying persons are subject to availability and confirmation. Please contact us in advance for reservations. Arrangement of flight and transfer where needed. Yes, I have seen and read the prices, terms & conditions and I agree.